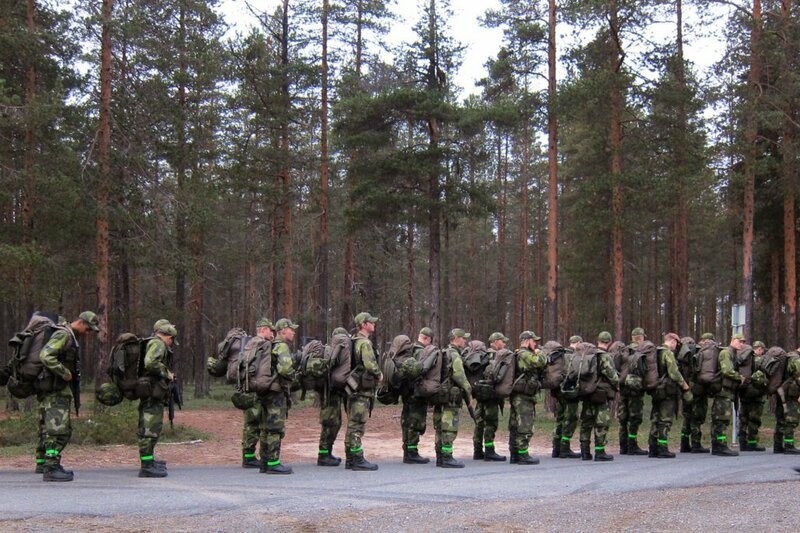 In a pine-scented forest on an army base in northern Sweden, 58 recruits stampede to their packs, breathing heavily. Sweat streaks camouflage paint down their cheeks; they rip off body armor and don Gore-Tex jackets against chilly September drizzle. They’ve been in the field all week, learning to shoot rifles and move through the forest in pairs. A small pickup truck putters toward the platoon, bearing dinner provisions. So much for the planned ride back to the barracks. As a former U.S. Marine-turned-journalist, I’m in Sweden with this mechanized infantry unit to learn about this year’s reactivated—and now gender-neutral—draft of 4,000 19-year-olds. Sweden is nearly 30 years ahead of the U.S. in allowing women to join combat arms units. Women comprise nearly 8 percent of servicemembers in the Swedish Armed Forces and about 8 percent of the U.S. Marine Corps, a number recruiters in both places are trying to increase. 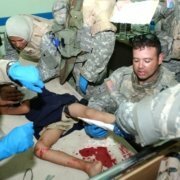 I was curious to see how these recruits’ experiences compared to mine. There is only one female recruit in this platoon; she stands slim and quiet, with her hair in a thin brown braid. Before dinner, she digs a hard plastic spork from her pack and pops open a collapsible mess kit. Laughing along with the guys, who pelt each other with pinecones and pebbles, she throws bug repellent to a buddy. A male recruit with a dark crew cut glowers, imitating her laugh as a high-pitched giggle. She looks at him, her smile fading in a quiet beat, and rejoins the flow of the other recruits’ conversation. They straggle into the chow line, offering a loud “huzzah!” after the announcement of each menu item: creamy salami stew, potatoes, fruit, hard bread, and juice. 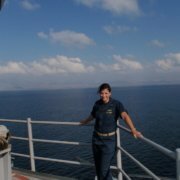 The deputy platoon commander, a female noncommissioned officer with rank equal to an American staff sergeant’s, deployed to Afghanistan in 2009 as a tactical air controller for a mechanized infantry unit. She calls the lone woman recruit “reserved,” which is understandable, considering she shares a room with 13 male conscripts. A lucky barracks layout affords her a private bathroom; typical Swedish barracks have coed showers. Their room is “pretty relaxed,” says one of those roommates, a bespectacled, five-foot-few-inch conscript named Lucas Strandlund. The female recruit herself offers me only her hometown of Boden. I try not to single her out any further, knowing what it’s like to want to blend in. 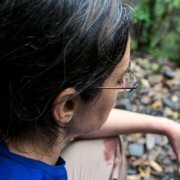 As one of four women in a 40-odd lieutenant training platoon in Quantico, and one of five in a 150-Marine company deployed to Iraq, I’m well acquainted with the tactics of fading into the background or speaking only when sure of an answer in order to join, tolerate, or escape the camaraderie that often evolves in male-dominated military environments. 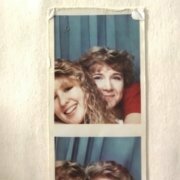 I ignored bathroom humor, dodged wrestling matches that got out of hand, and smirked in a corner at masculine chest-pounding. I also said nothing a fair bit of the time, resorting to silence except when telling a popular joke involving a Scotsman and a goat. After chow, I feel slightly self-conscious bounding 40 yards through springy underbrush and ducking behind a mossy boulder for a quick pee break. “Ask me in an hour and a half,” I say, thankful for the caffeine tablet I’ve fished from my jacket pocket. The air holds a sand-and-mud petrichor, which I recall from Quantico with what I’m sure is disproportionate fondness. I velcro a borrowed green reflective strip around my ankle. My business-casual boots, caramel leather by Franco Sarto, have felt slightly too big the entire two years I’ve owned them. Through pounding city walks and freezing bike commutes, I’ve worn the lining down to bare leather, and the left boot’s stitching is coming undone. Oh well, I rationalize, I was planning to destroy these in Sweden anyway. Given the option of a cozy van, the hike wasn’t something I would have volunteered for in 2003 when I was a second lieutenant at The Basic School. Then, as now, all students went on conditioning hikes—also known as forced marches, or humps—the most memorable of which was a 20-miler during which it rained the whole time. My roommate and I weighed ourselves afterward. Me, sopping wet: 119 pounds. Me and all of my gear, sopping wet: 198 pounds. Now, at age 38, carrying two-thirds of my body weight sounds like a bad idea. Fortunately, I carry only a leather briefcase that—mercy of mercies—I’ve configured as a backpack. 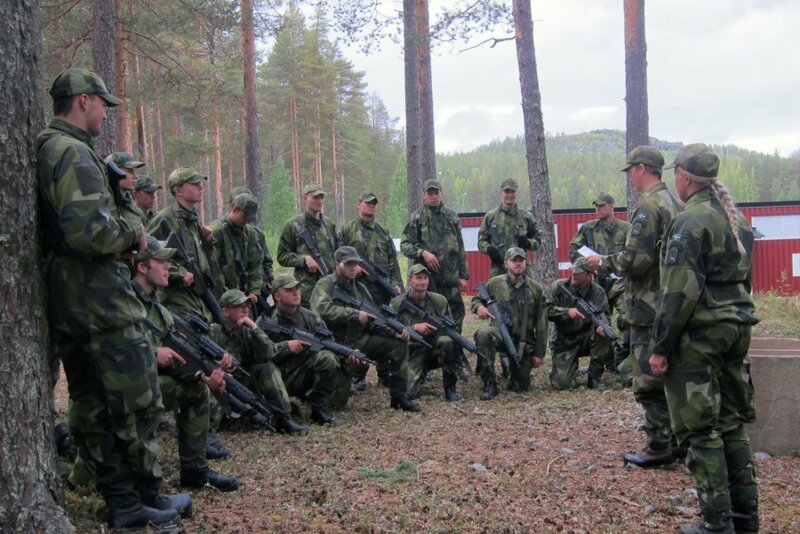 The Swedish recruits’ load weighs about 33 pounds: a full backpack, flak jacket, helmet, and rifle. As the mist lifts, I detach the hood from my waxed-canvas Barbour jacket. I’m wearing belted brown-and-gray wool business trousers, a long-sleeved button-down shirt, and a thin gray blazer better suited to a summer office. This is the most dignified I have ever looked on a hike. Stepping off, the recruits sing American songs: “Sexual Healing” and “Bohemian Rhapsody,” hamming up the falsetto parts. I recognize their summer-camp vibe; they’re looking forward to a half-day of weapons maintenance tomorrow before a five-day pass home. The female recruit does not sing along. Neither do I. 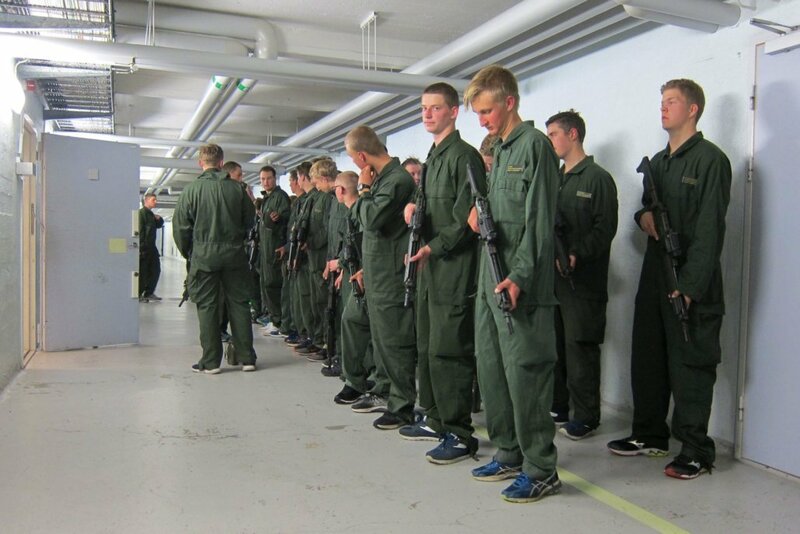 All Swedish recruits, whether male or female, must pass the same occupation-specific physical standards. 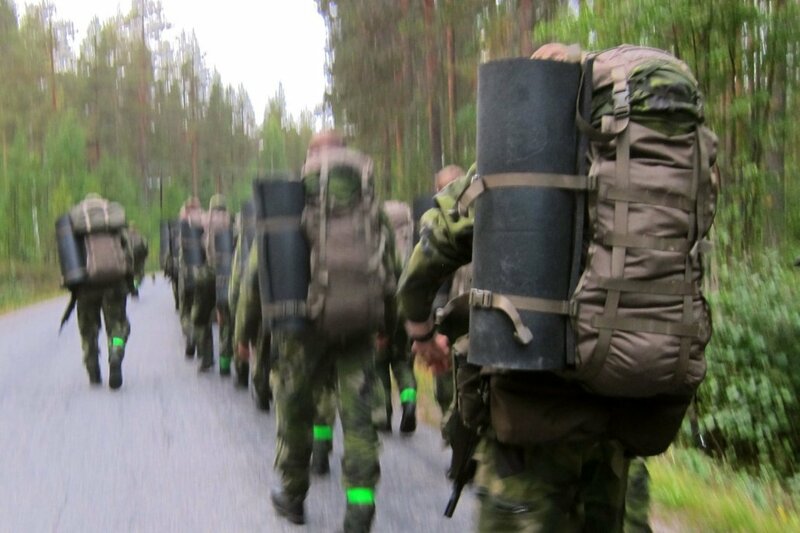 Part of these Swedish recruits’ test is a two-kilometer run while carrying a weapon and wearing boots, flak jacket, helmet, and a load-bearing vest. To prepare, Recruit Oliver Olofsson, who is 18 but looks younger in a strawberry-blond buzz cut, worked out in the gym. “Mr. Spaghetti Arms,” laughs Andrew Andersson, a chunky, black-haired buddy behind him. Andersson tells me he’ll soon train to become a motorcycle messenger; Swedish military motorcycles have tiny skis on their sides, the better to balance on snow. When I was in the Corps, being a motorcycle messenger was the rumored holy grail of cool training gigs. I never got to ride one, not even at communications officer school. Faced with his straightforward claim to a job I’d always assumed was mythical, I wonder if Andersson’s bullshitting me. Yellow-leaved birches and pole-straight conifers line the road. Despite an extreme summer heat wave that required Swedish Home Guard soldiers to fight wildfires within a hundred miles of here, the trees on this base look well nourished, their canopies unfolding 30 feet in the air. The air is cool and humid; wet needles carpet the ground. As sunset tints orange clouds, I can imagine motorcycles speeding through evergreen backcountry. I burp my salami dinner, along with hints of a reindeer-stew lunch, and remove my blazer and coat. The latter’s plaid cotton lining has dampened with sweat, and I adjust my gait to avoid a potential heel blister. The female recruit neither runs nor slows down, in perfect step with the men. Strandlund’s short legs churn twice as fast. One recruit falls out: the red-faced, sweaty leader of the second squad, who tugs at the thermal collar under his Gore-Tex jacket. The back of the column accordions, and Olofsson, Andersson, and I have to run to keep up. Tonight’s hike contains some of the pain I remember from Quantico, but unlike those dirt hills, the path here is flat, and beds await us, and once the packed dirt turns to asphalt, I know it will be over soon. At the barracks, the recruits change into dry coveralls and give their weapons a once-over. An instructor shows me a YouTube montage of snow motorcycles, complete with miniature skis, to prove Andersson wasn’t kidding. The faint odor of weapons lubricant drifts our way as troops clomp by to lock up their rifles. 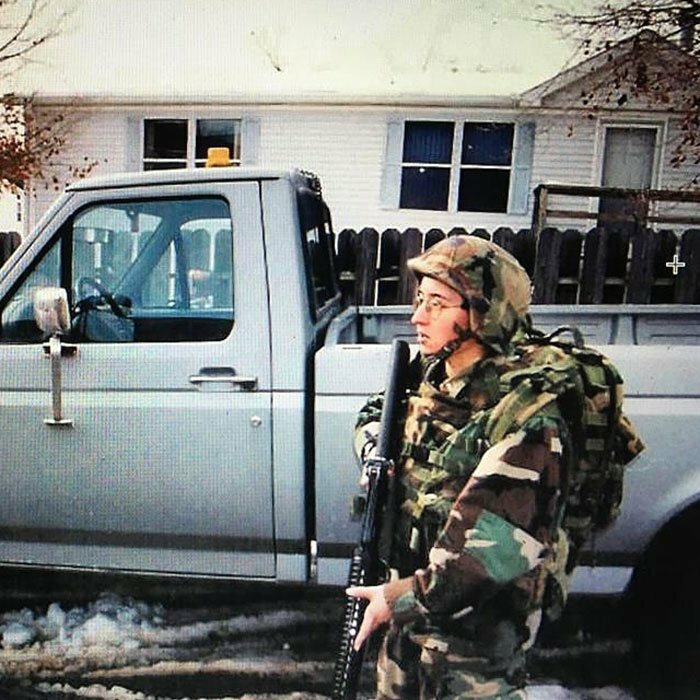 The female recruit’s efficient stride and quiet fortitude mean she’s on her way to finding her role in the platoon, a dynamic I saw with my former women colleagues. At double these recruits’ age, I now know how quickly their time in service will fade to something they recall only in snippets. I walk gingerly to my hotel and feel grateful for this impermanence—and, unlike my Officer Candidate School barracks, some privacy. The next morning, hotspots prickle my pinkie toes and heel. I pull on old camouflage trousers and lace up the desert boots I wore in Iraq. Today I’m slated to be with a different platoon of mechanized infantry recruits—another 10 hours on my feet. Though I’m now more appropriately dressed, I’ll accept a ride back if one is offered. Especially if it involves a motorcycle.